Welcome to Kingston, Jamaica’s public transportation system, circa 1986 after the urban public transport system was liberalized to accommodate the small man participating in the free market economy under an IMF prescribed Structural Adjustment Program (SAP). A thousand owners, including political goons and hustling policemen have taken over the system in which schedules, discipline and control have been thrown out the window and service has become a dirty word. Loud music, wreckless driving, abuse of passengers and school girls carousing with ragamuffin conductors and drivers is the norm. Fast forward to 2008 and it is ironic that it is a murder in the public transport system that is causing Jamaicans to sit up and take stock of the decadence that has taken hold of the state. Ironic because it can be argued that it was the destruction of the Kingston metropolitan transit Jamaica Omnibus Service (JOS) and the national rail system that contributed most to the decayed culture across the country. Forgive this anecdotal approach to history but that’s how much of the Bible came to us, and we know it’s gospel truth, such that it cannot be spoken in degenerate Jamaican language. 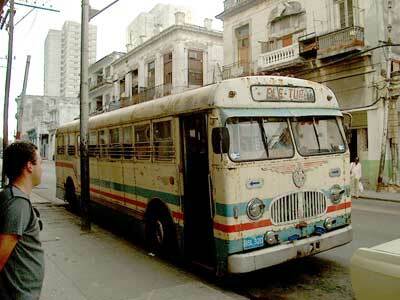 I grew up hearing my grandparents and other adults speak of the “chi-chi bus” service of Mr Weedie (sp?) which preceded the Jolly Josephs (Jollies) as the buses of the transit fleet were affectionately known, under a Mr Curtin. The natural metal coloured buses covered with green horizontal strips down the sides, covered the entire Corporate Area with routes going to the limits of the city – Border, Red Hills, Gordon Town, Jacks Hill along the northern range, Bull Bay, Harbour View and the Airport in the east, Six Miles in the West and all along the south coast corridor. The buses I think sprayed out from a large depot in West Kingston, and smaller ones at the head office on King Street north of the City Centre, and uptown at Cross Roads. The bus sizes varied. They were all Leyland and the longer “G” buses held 40-plus sitting and possibly 30 standing (often 100 crammed in); the midsized “A” buses had about 30-odd seats and took 20-odd standing and the “F”, called patty pans, were more like large mini-buses with a completely different look and sound and had clunky gear shifts that reminded you of the private country buses (more on those…). The large buses did the longer routes with wider roads; the “A” buses went mainly through the east Kingston community of Franklyn Town to terminate in RollingtonTown because of the narrow streets and the ‘patty pans’ to even more congested inner city areas in the west like Jones Town and adjacent communities. The G buses began to be replaced at about the time of the Commonwealth Games in Jamaica, with the more modern “L” series and their lighted advertising bill boards along the top strip of the sides and special beepers for the ductors to signal the drivers. Drivers and conductors/conductresses (the root of ‘ductor’ and ‘ductress’) wore uniforms and buses were frequently boarded by inspectors for mini audits of passengers and tickets and punctuality. At major fare stages and terminals there were boards with the schedule of arrival and departure. Service began at about 5 a.m. and continued up to about midnight in most areas. The Jollies wouldn’t win the international prize for punctuality but it wouldn’t have been because of the incompetence of the workers, who were on the whole courteous and helpful, but a function of equipment and personnel shortages. Many of their colleagues went off to London and were tops in their field across the ocean. Whenever there were strikes by the JOS staff, the streets of Kingston took on a humorous face: dads on motor bikes or bicycles with three children off to school, bulging private taxi cabs converted to route taxis along with Volkswagen and Commer vans converted to “robots”, to which the police conveniently turned a blind eye for the duration of the industrial action. The Royal Mail and McCauley’s buses, which generally served Kingston to north coast travellers, also joined in the spree of serving the city during the strikes. While there was a significant commuter population between Kingston and Spanish Town 13 miles west, that market was served primarily by the Penn Overland and Bronx Transport buses, which, with the air conditioning and comfortable seats, put the Jolly Josephs to shame. The opening of the Portmore dormitory communities in St Catherine about 1969/70 initiated a hybrid system of commuter transport to Kingston from Independence City and Edgewater as well as Gregory Park and surrounding areas. While many of my school friends who had made the move “across the waters” took the train at Gregory Park then bussed to school from downtown, others took the rerouted Penn and Bronx buses as well as a new growing set of ‘robot’ buses, mini-buses (vans) and cars. The Portmore segment began to give a bedraggled face to the transit system not just for its multiplicity of un-uniform operators but its seeming lack or order and discipline. The Michael Manley regime that won the election in 1972, with its Power for the People slogan, soon clarified its ideology as democratic socialism. British Electric Traction Company, PLC (BET) owned and operated the 600-bus Jamaica Omnibus Services until JOS was nationalised by the Jamaican government in 1974. According to Florida-based Jamaican lawyer, David P. Rowe, the owners did not receive a fair compensation for the takeover. When in the late 1970s the government was faced with declining revenues at the JOS, they decided to implement a hybrid mishmash of “robot” route taxis alongside the Jolly Joseph buses. They had also haemorrhaged some of the already inadequate fleet to distant, hilly Montego Bay. By the time the Jamaica Labour Party government came to power in 1980, the system was a mess and Prime Minister Edward Seaga’s free market approach was to make the JOS inoperable and hand the system over to an association of bus operators who ran the system into the ground as a law unto themselves. The book Cities and Structural Adjustment (Routledge, 1996, Nigel Harris and Ida Fabricius eds) notes the impact of the program on the Kingston Metropolitan Area. “Structural adjustment policies were deliberately designed to shift a greater share of the cost of the social reproduction of labour from the state to the individual and the family, while protecting the position of private capital,” the writers noted. If SAP was a cancer, the urban transit debacle was particles transported around the body by the arteries ane veins. After two terms of the JLP with urban transport in complete shambles the PNP was returned to office. They implemented a system to restore at least decent vehicles to the system and established Jamaica Urban Transit Company Ltd (JUTC) to provide public passenger transport services to the Kingston metropolitan transport region. JUTC buses are leased from Metropolitan Management Transport Holdings Ltd and all properties of the Jamaica Omnibus Services were transferred to the JUTC, based on a Cabinet decision September 2000, to wind up the JOS which had been inactive since 1983. But the newly converted to capitalism PNP used the system as a political pork barrel, the company way overstaffed and racking up losses at a rate only people who study calculus could compute. September 2007 and the JLP after 18-years in the wilderness wins control and decides that the urban transit system needs to be fixed … again. Minister Mike Henry appoints a public spirited auditor, Douglas Chambers, who agrees to take Ja$1 a year to chair and clean up the mess. When he took over there were 2,743 people on the payroll with an average roll-out of 288 buses. Now there are about 1,600 employees and chambers was reorganizing the company to allow for single operator units. He is massacred outside the company’s gates by men with high-powered guns when he takes a cigarette break from near complete union negotiations. But 800 other people had been killed for the year before him, in a stream of lawlessness that had started when men begun building kingdoms based on route rights and ownership of a cheap, second hand Japanese vehicle. …A minibus with its passengers is transiting Spanish Town. A man with a wooden club compels the driver to enter a parking lot and pay a fee for the privilege of passing this road along the route. If he declines, his life may be short-lived as these extortionists with their high powered weapons do not compromise. Out in the streets, they call it murder! Political violence, can’t done! Pure ghost and phantom….